The Miraculous Medal Association is a living and perpetual memorial of the apparitions of the Immaculate Virgin Mary in 1830. In these apparitions the Virgin presented a model of the medal that, when copied, spread rapidly in many countries. It was the people who called this medal “miraculous” and they did so because of the innumerable blessings that God bestowed on them through this medal. The Association came into existence in order to make known the Virgin of the Miraculous Medal and to transmit the message of the medal, viewing it as a catechetical lesson on the history of salvation offered by the Virgin Mary to those whose heart is open to her message. The Miraculous Medal Association, was approved and recognized by the whole Church in the brief Dilectus Filius signed by Pope Pius X and dated July 8, 1909. The approval of 1909 assumed that the Association would be under the direction of the Superior General of the Congregation of the Mission and the Company of the Daughters of Charity. The Statutes were revised and approved once again on April 14, 2010 by the Congregation for the Institutes of Consecrated Life and Societies of Apostolic Life (Prot. N.P. 53-1/98). 4.1.1. Because all its members, through their Baptism, are called to participate in the salvific mission of the Church under the direction of their pastors. 4.1.2. Because the fulfillment of the ends of the Association is connected to the Church’s mission. 4.2.1. Because the very nature of Christian spirituality implies a Marian dimension. 4.2.2. Because the Association came into existence as a result of the apparitions of the Virgin Mary to Saint Catherine Labouré in 1830. 4.2.3. Because all its members feel called to know, live and spread the message of the apparitions that occurred in 1830. 4.3.1. Because the Association came into existence within the family of Saint Vincent de Paul and Saint Louise de Marillac whose charism is the service and the evangelization of the poor. 4.3.2. Because the direction of the Association has been entrusted to the Superior General of the Congregation of the Mission and the Company of the Daughters of Charity. The insignia ought to be the same in every country. 6.1. To follow Jesus Christ with the strength of the Holy Spirit and after the example of Mary, the disciple and model of the Christian life. 6.2. To honor and encourage devotion and commitment to the Virgin of the Miraculous Medal. 6.3. To spread Marian devotion through the message of the Miraculous Medal. on the feast of Saint Catherine Laboure, November 28th. The principal feast of the Association is celebrated on November 27th. During this celebration we remember the apparitions of the Virgin of the Miraculous Medal to Saint Catherine Laboure. The Association remembers this feast on the 27th of each month with the celebration of the Eucharist or some Marian devotion. In addition the members of the Association receive graces from God on all the Marian and Vincentian celebrations of the liturgical calendar. 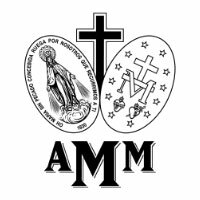 In the Act of Approval, 1998, it is affirmed that the popular name of the Association is the Miraculous Medal Association, a name that from this time forward is adopted as its own and only name — all other names are now left aside. In these Statutes the name is used in its normal sense. The Miraculous Medal Association brings together those older Associations that used the names: Novena Association of Prayer in honor of the Blessed Virgin Mary of the Miraculous Medal, The Immaculate Conception of the Miraculous Medal, and others that were used as a name for the Association. A Plenary Indulgence May be obtained if a person prayers an Our Father, a Hail Mary and a Glory be … , three times for the intentions of the Holy Father; and receives Holy Communion and the Sacrament of Penance within 2 weeks of the specified day.